Thailand is well known as a centre of various kinds of massage. In addition to the ubiquitous “Thai massage” you can also find the more enticing, “soapy massage.” This is common in parts of Asia, but especially Thailand. In Bangkok there are a plethora of options for the wannabe soapy-goer, but you can find a soapy in many cities, including Hat Yai, Chiang Mai, and elsewhere. Honey 1 has two sides, as you go inside the foyer and turn left, you will see a long room with girls on either side. On the right hand side are, ahem, the “fuller figure” ladies and on the left hand side, sometimes wearing all white or all black, are the “model” ladies. Silicon seems very popular with a large percentage of girls rocking big fake boobers, if that is your kind of thing. The staff may offer tips like “good service” or whatever but they have no real way of knowing who provides the best service since most people are not repeat customers and in fact, they are more likely to direct you to a girl who is unpopular and so needs customers. You should take your time and choose the girl that you like. If you feel pressured you can walk away or order a drink, once you have it you can take as long as you want. The beers are not terribly overpriced or you can go for a fruit juice or water, although these will probably cost about the same due to the markup. You tell the staff the lady of your choice and then proceed back to the reception area to a room. The rooms are pleasant enough, nothing to write home about but you dont visit these kinds of places for the decor. Expect to see and smell mould. This is a damp environment after all. There will be a tub, if you are on the larger side it may be a tight fit. The prices vary according to tier and tips are generally not expected although of course would be appreciated. The quality of massage is variable and we recommend going in expecting it to be low to non-existantant, so that anything better is a pleasant surprise rather than starting off as a disappointment. Various ladies offer a body slide/soapy massage component using an inflatable mattress, but often this component is skipped entirely. Usually, “model” tier girls skip this part, but if in doubt, check with the staff before you pay. After the massage itself and the shower/bath component is over, you will be offered full service. Again, you mileage will vary and paying more does not necessarily guarantee a better time. In fact there is probably no correlation, sometimes the most expensive model can be cold in service. In the room you are offered food and drinks but these are obviously priced higher than just picking it up at the 7/11. There are also large KTV type rooms avialable if you want to spend some time relaxing with a bottle and your friends. 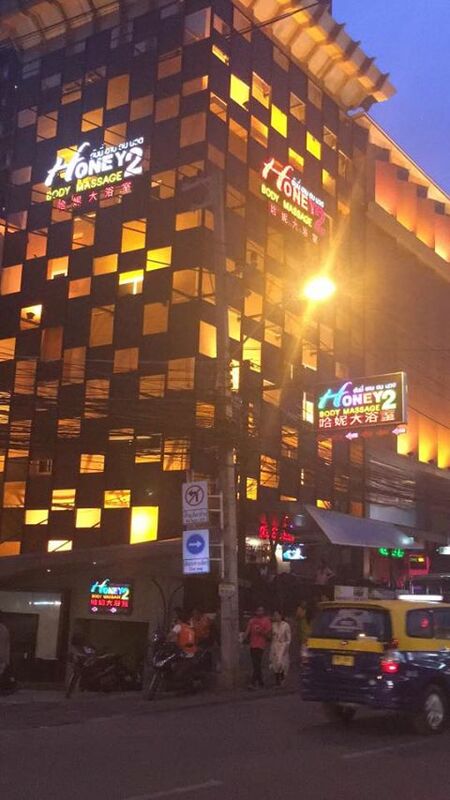 The Honey franchise generally has a good reputation and is probably the premier Pattaya soapy venue. Unlike reports that you may have seen in the media, these businesses aren’t out to scam you, they are well-established. Other options do exist, such as Sabai Room/Sabai Resort, and Sabai Dee body massage just across the street from Honey 2. It is worth having a look inside all of the body massage places, even though crossing 2nd road can be a bit risky at times. The selection is roughly the same with different tiers but the setup inside the different Sabai places is different with chairs and dinner tables rather than the benches that you find in the reception area of Honey 2. In any case when you go inside dont be shy to sit right up front so that you get a good view. Another option that we do not recommend is the parlour further towards soi 6 which is called Rasputin. We have not visited this place but the reports we have heard back are not encouraging and if you wish to try it we advise you to be warned. Not that you will be scammed but that the level of service might not be not quite what you are expecting for the price. Soapy massage offers the obvious advantage that it is a one stop shop, you have a girl and access to a room right there compared to a gogo where you are required to take away to another location. However, soi 6 bars also have rooms available and the quality of girls is also good. 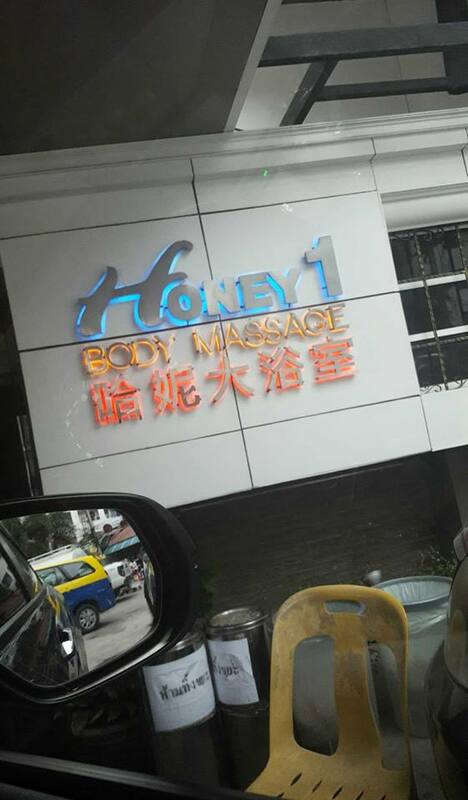 There are also many places where you can get a massage with extras and even full service, such as the shops towards the Buakhow end of Soi Honey just a few hundred metres from honey 1. 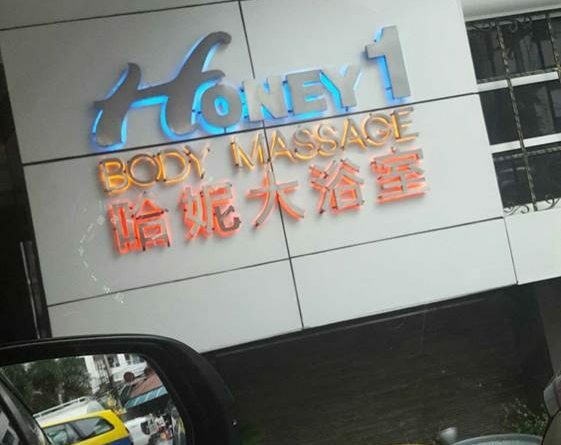 Bangkok is probably a better bet for soapy massage even after many of the infamous sideline parlours such as Nataree have been shut down for employing underage and illegal workers. There are many places on Ratchadapisek road, or “Ratchada” as it is known, including the famous Poseidon near Huay Kwang MRT station (actually closer to Suttisarn). However if you are already in Pattaya you may as well give soapy massage a try for something different. The soapys are very popular with Chinese and Indian clients as they do not refuse customers the way some gogo girls do. If you are a customer from India or China you can feel more comfortable going to these places. Many parlours offer Chinese language menus and signage.